My haul of gorgeous mushrooms from Borough Market make me want to cook something really simple so the mushrooms take centre stage! A suggestion was to dry fry them and add to pasta for a simple supper. Perfect for Meat Free Monday! You’ll need Boil the kettle. 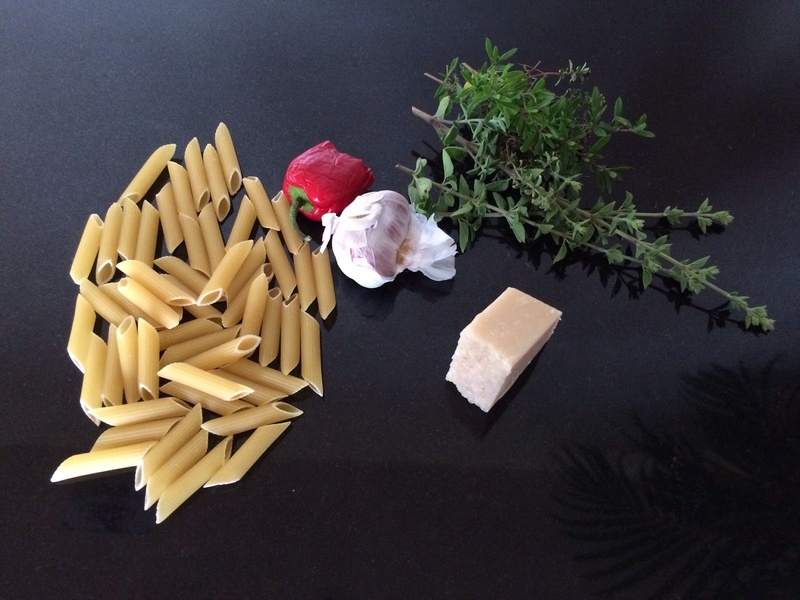 When boiled put into a saucepan and add 100g of penne pasta, some salt, and cook until al dente. Drizzle some olive oil in a frying pan. Wipe the mushrooms clean. Finely chop them, the garlic and chilli and add to the hot pan, and cook gently for about 5 minutes. 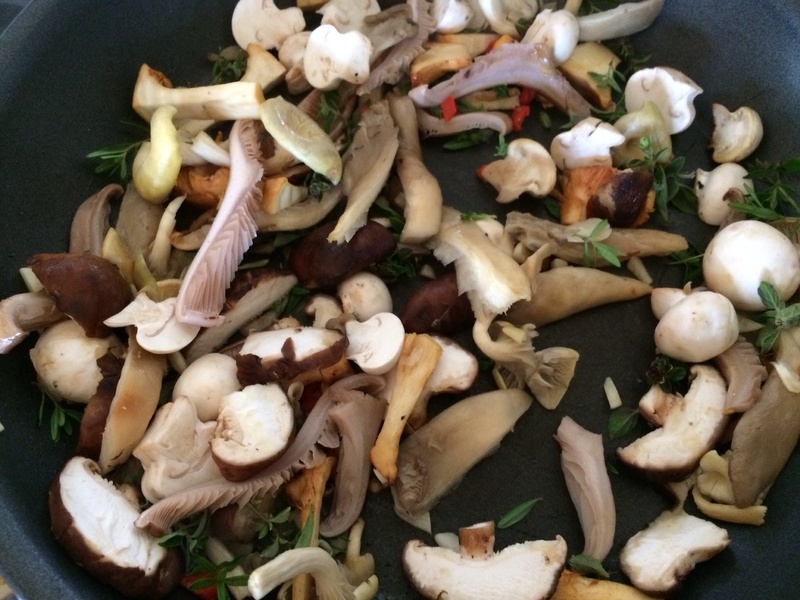 Strip the herb leaves from a few stalks of oregano and thyme and add to the mushroom mix with some salt and pepper. When the pasta is ready, drain, keeping a small amount of the cooking water for the dish. 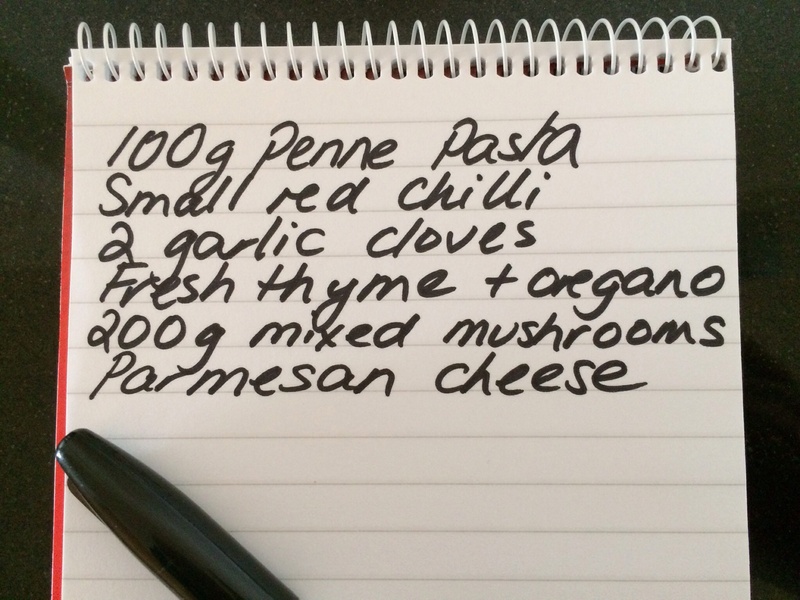 Add this with the mushrooms and garlic and chilli to the pasta. Season with sea salt and pepper and serve with flakes of Parmesan cheese. 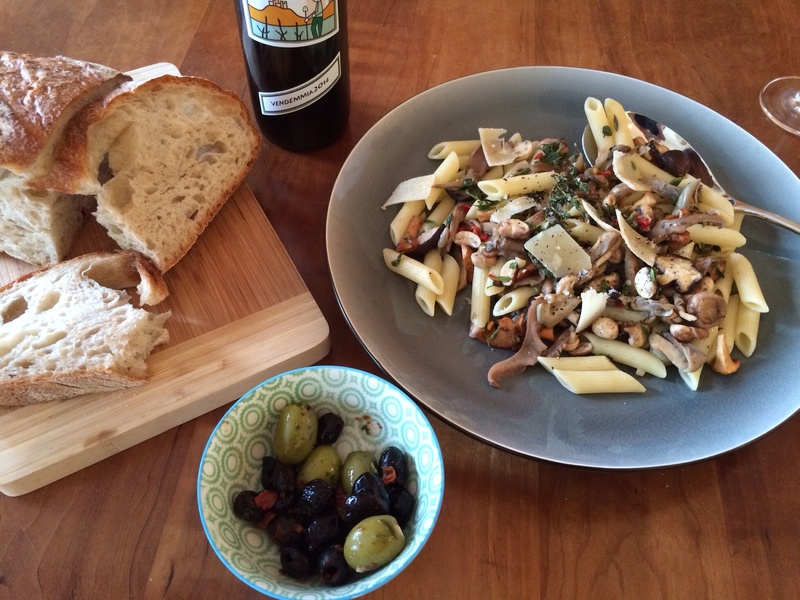 And some nice crusty bread, a few olives and a bottle of Gavi! Delicious. ← Sweet Mirin marinaded salmon. Wow, looks great! 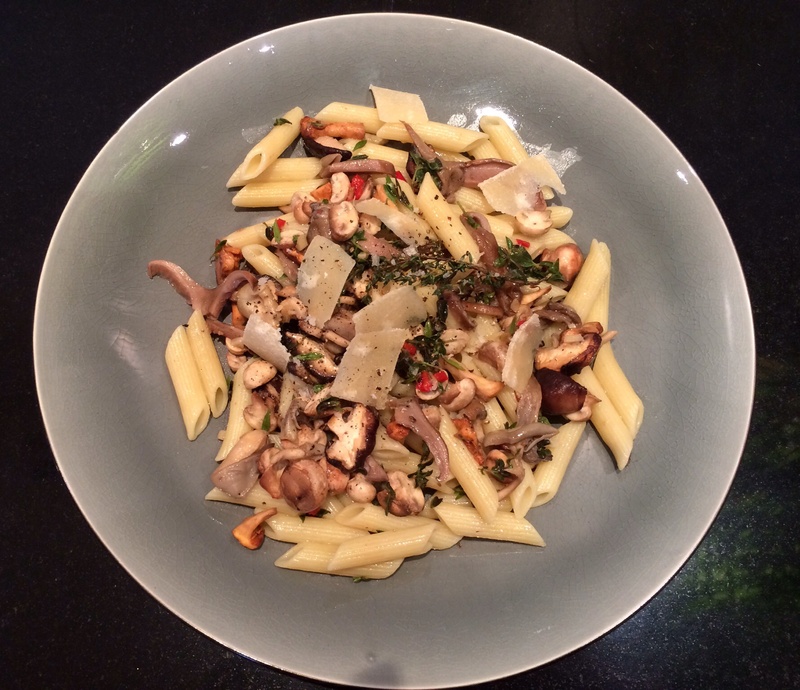 Not quite the Italian style we cook up at my pasta restaurant, but looks wonderful!